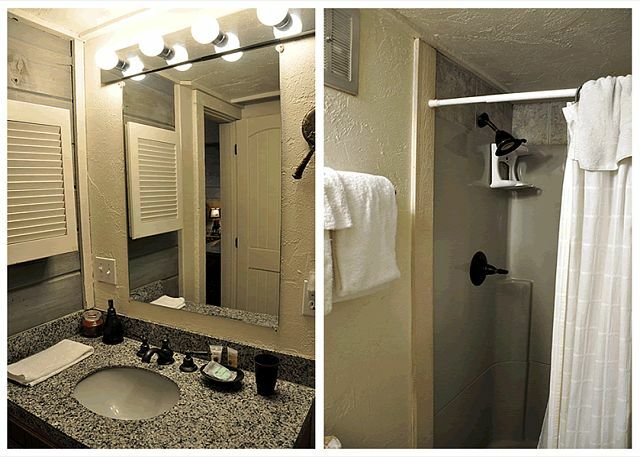 2 bedroom West Vail Condo #B9 on the Gore Creek. 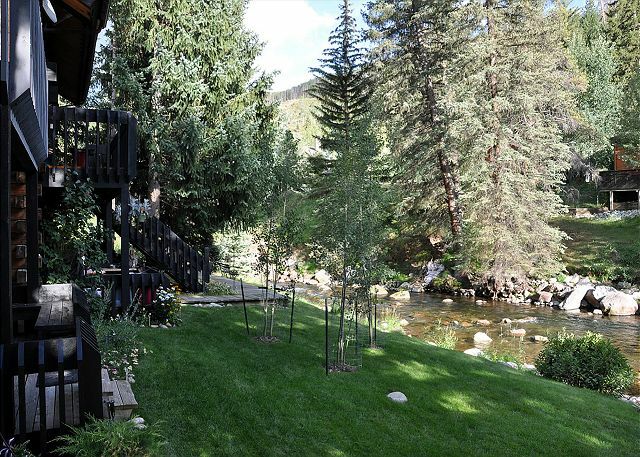 Managed by Gore Creek Properties, this beautiful condo has a bright open floorplan and a deck overlooking the babbling creek right outside the condo. 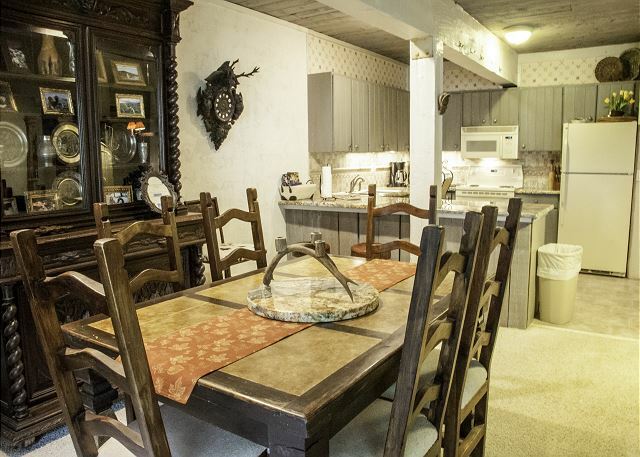 This charming 2 bedroom, 2 bath condo has been furnished with rest and relaxation in mind. 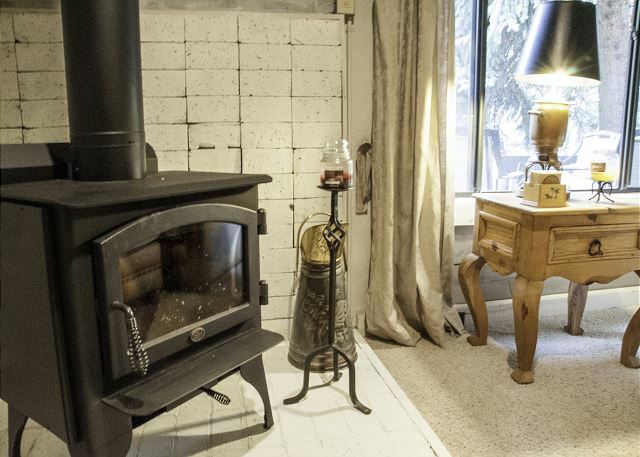 The kitchen/ living room has an open floor plan with a wood burning fireplace.Firewood will be provided in the winter. 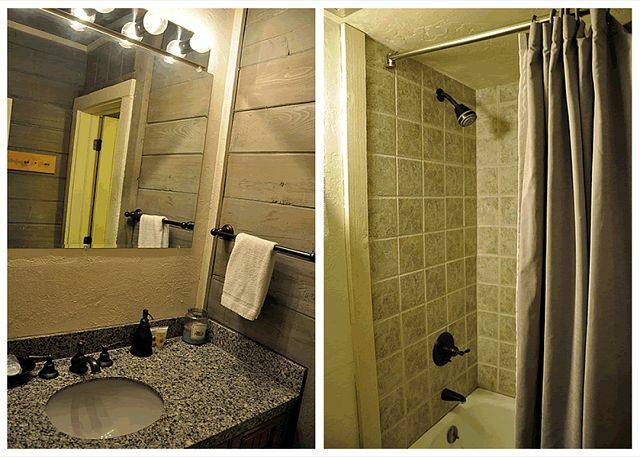 The master bedroom has a queen bed and an ensuite bathroom. 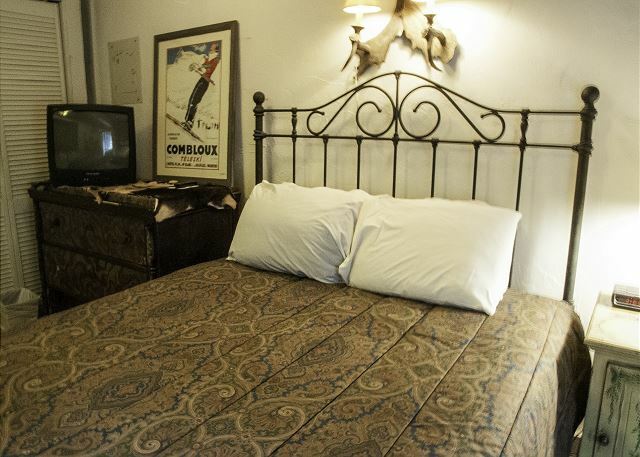 The 2nd bedroom also has a queen bed, and there is a double sofa sleeper in the living room. The condo has a washer/ dryer for your convenience. 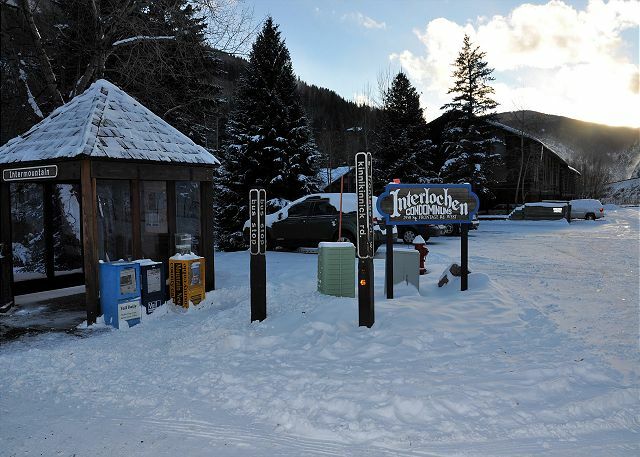 The free Town of Vail bus stop is just steps away and the bus runs into Vail every 20 minutes in the winter. With world renowned skiing, diverse shops and restaurants, luxurious accommodations, friendly neighborhoods and breath-taking mountain views, Vail is one of the finest resort destinations in the world. This property does not allow pets and is NON SMOKING. Accessing the condo was easy and convenient. It was a 15-20 minute shuttle ride from the condo to Lionshead/Vail Village. 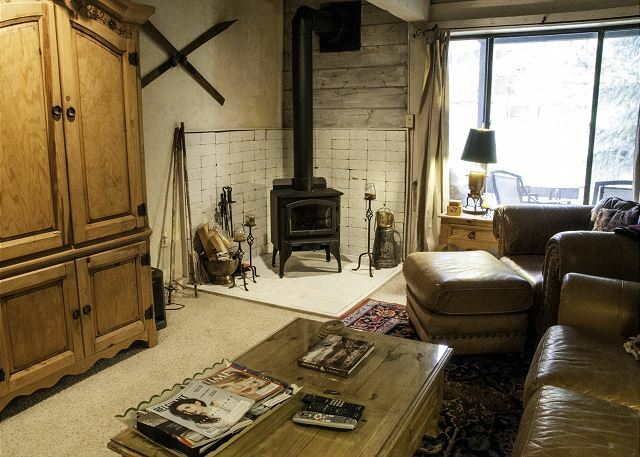 Very cozy and more than enough space for four people. Great scenery in the back patio with a small creek and view of the mountain. Would definitely stay again. Nice location; a little hard to find! 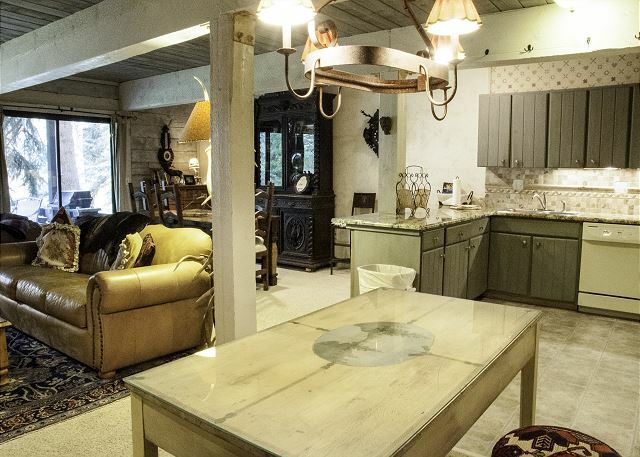 Good location just outside of heart of town. One negative was we came in at night and it was dark and the units are poorly marked and difficult to find. I'd recommend bringing a flashlight if you're arriving at night. Otherwise, great bus pick-up location with easy access to and from town. This place is really great. 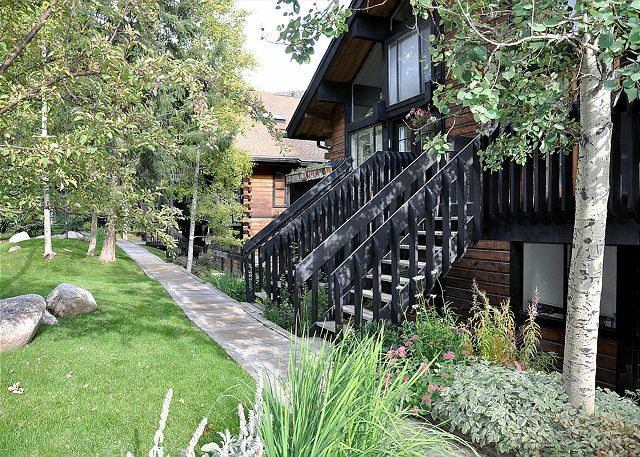 It is an awesome location on Gore Creek and very roomy! It's very comfortable and awesome for a family vacation. 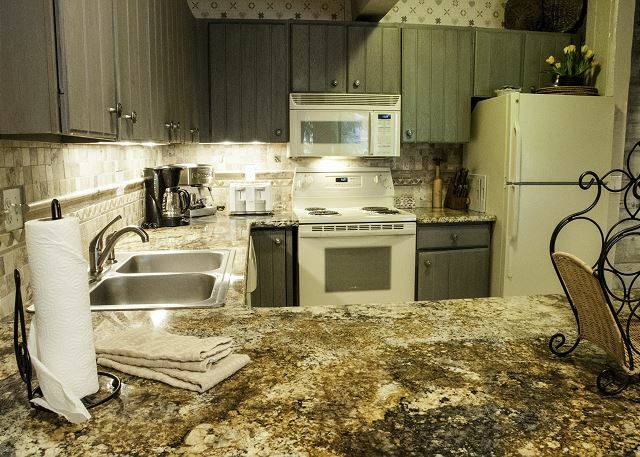 Nice and cozy, conveniently locate with private parking, close to shuttle station and full equipped comfortable apartment. The condo was in a perfect location (quiet, yet close to the public bus stop) and had beautiful scenery right out of the living room windows. The decor and furnishings were comfortable and beautiful. The kitchen had every thing you would need for preparing meals. We will be back!